Do You Own or Invest in Foreign Business? 04 AugDo You Own or Invest in Foreign Business? Do you own or invest in foreign business? If so, here’s what you need to know about form 5471. The title of the form is Information Return of U.S. Person with Respect to Certain Foreign Corporations. This is an information return that must be filed by U.S. Citizens and U.S. residents who are officers, directors, or shareholders in certain foreign corporations. What are the filing requirements of this form? The filing requirements for this from is broken up into different categories. Each category has different schedules which they are required to file along with the form. The easiest way to be subjected to this form is to be a U.S. Citizen and own 10% or more of the total value of a foreign corporation’s stock or 10% or more of the total combined voting power of all classes of stock that has voting rights. The stock ownership is fairly straight forward but a U.S. Citizen is also defined as a resident of the United States, domestic partnership, domestic corporation, and an estate or trust that is not a foreign estate or trust. Unfortunately as your ownership percentages increase the category of filer changes. With the change in category the definition of what a U.S. Citizen is changes as well. What happens if I fail to file this form? There is a high penalty for failure to file this form. The initial penalty is $10,000 for each period not filed. Additionally once you are informed of the need to file, failure to file can result in an increase of the penalty up to $50,000. The world is becoming a smaller place all the time. People from the U.S. travel and work in other countries. People from other countries travel to and work in the U.S. 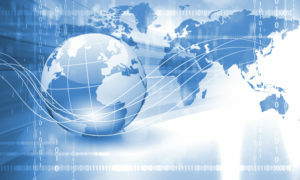 Investing in a foreign business venture is becoming much more common. Additionally your stock broker might invest in foreign stocks for you. How would I know to file this from? Communication with your tax advisor is key. Before you make that investment with your foreign business partner (or any business partner), or before you tell your broker that you are comfortable investing in foreign countries, take a moment and consult with your tax advisor. Proper tax planning might just save you additional taxes and penalties. Please contact us if you have any questions about filing form 5471 (417)-881-0145.